If you are like us, you are ready to make a real difference. At Seattle Cancer Care Alliance, it’s the kind of difference that inspired you to pursue a career in medicine and healthcare in the first place. Here, we’re eager to collaborate with people like you who have the talent and passion to push the envelope in the prevention, treatment, and cure of cancer. Join us as we advance immune-based therapies for cancer patients that build on pivotal breakthroughs, one discovery at a time. Our Immunotherapy Clinic, located at our main clinic in South Lake Union, opened in fall 2016. We’re looking for compassionate and caring nurses like you. Through devoted collaboration with our founding partners, Fred Hutch, Seattle Children's, and UW Medicine, we are delivering new therapies and more than 500 clinical trials each year—all to ensure the very best care for our patients. U.S. News & World Report consistently ranks Seattle Cancer Care Alliance/University of Washington Medical Center as one of the Top 10 Best Hospitals in the Nation for Adult Cancer Treatment. Each institution is evaluated on a number of factors, including patient safety, the nurse-to-patient ratio, and the range of patient services offered. 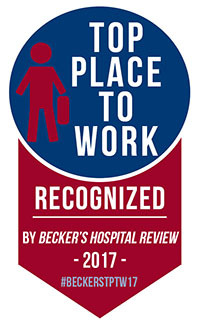 SCCA’s ranking is an important recognition of our commitment to excellence and quality care. Nurses are a fundamental part of the care that SCCA provides to our patients and their families. By embodying our values of collaboration, innovation, respect, and patient-centered care, the extraordinary team of nurses at SCCA reminds us each day that we are truly better together. Here at SCCA, clinicians, researchers, and technicians in one area of expertise work directly with teams from other disciplines including care coordinators, nutritionists, and physical therapists to provide our patients with the best care possible. Our team approach yields better outcomes across the entire spectrum of cancers. We are also proud to be one of the few designated Centers of Excellence by the National Institutes of Health. Our medical staff has access to the most modern laboratory equipment and imaging facilities available. With Fred Hutch next door to our main clinic, it’s possible for research in our doctors’ labs to be implemented at our patients’ bedsides. Because our cross-disciplined teams can also design their own unique facilities, breakthroughs in the labs can be integrated into our clinic as efficiently as possible. We have you covered with best-in-class medical and disability insurance as well as retirement fund options. Our medical staff members are provided with an excellent benefits package as well as other perks including discounts at restaurants, health clubs, and transportation. We not only care about the well-being of all of our staff but want to assure you that you do not have to worry about your well-being as you focus on what matters most – our patients.